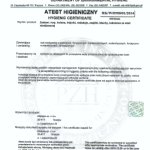 Stalesia also holds the ISO 9001 international certificate issued by the Polish Certification Center - a unit approved by the Polish Centre for Accreditation. ISO 9001 certification is recognized by all signatories worldwide, which certifies compliance of the quality management system with all required standards. 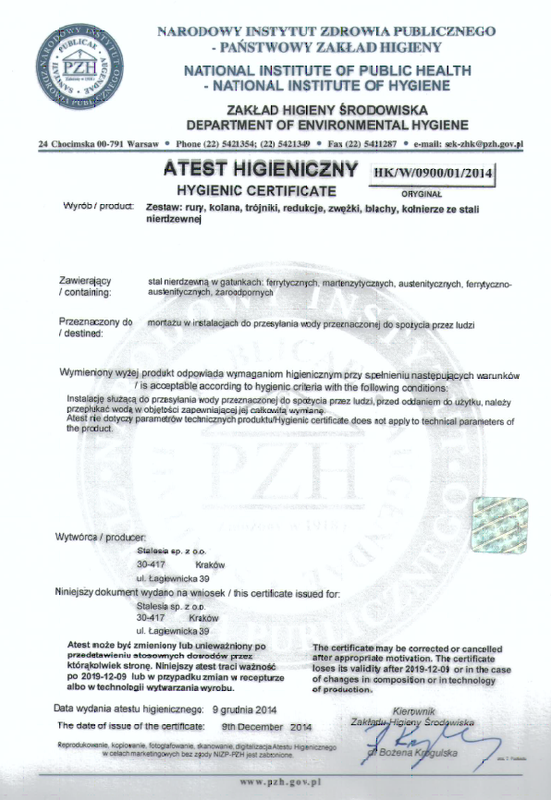 Stalesia posiada atest higieniczny, który jest poświadczeniem, że przedstawiony wyrób, podczas stosowania zgodnego z zaleceniami producenta, nie wpływa negatywnie na zdrowie i środowisko.